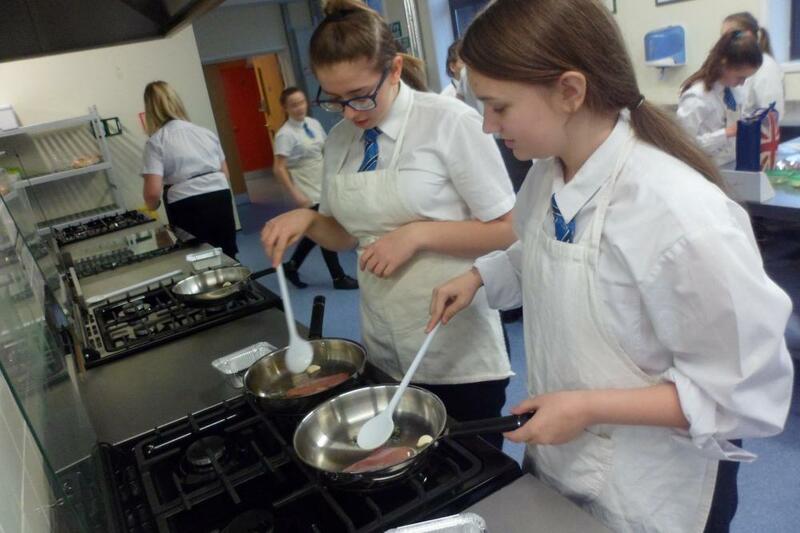 Year 10 students Zoe Bingham and Kathryn Storr sear their pheasant breast for GCSE Food Technology. 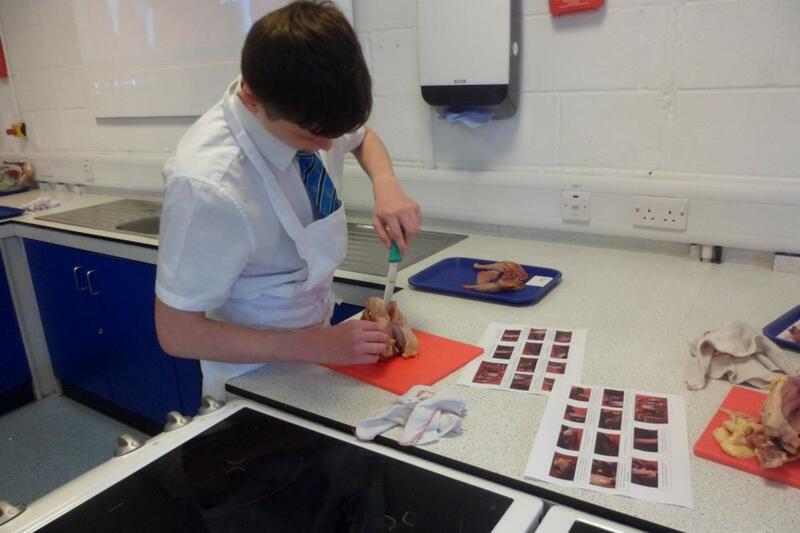 GCSE Food Technology students were game for a new challenge when they took on the task of jointing and roasting pheasants. The project was part of British Game Week and the Year 10 students were fortunate to receive a delivery of fresh game. For the GCSE course, students can access higher level marks by demonstrating knowledge of the specific cuts and anatomy of the bird, and also their dexterity with the knife to extract the specific cuts. Students then turned the breast into 'Pheasant and Horseradish Bruschetta'. The whole Academy also took part in reflecting on the moral and ethical debate about Game and learning about the cheap, nutritious and versatile qualities it contains. Thomas Howell said: "The game was pretty good and it was a great experience to learn how to joint and roast it." Thomas Howell joints the pheasant. 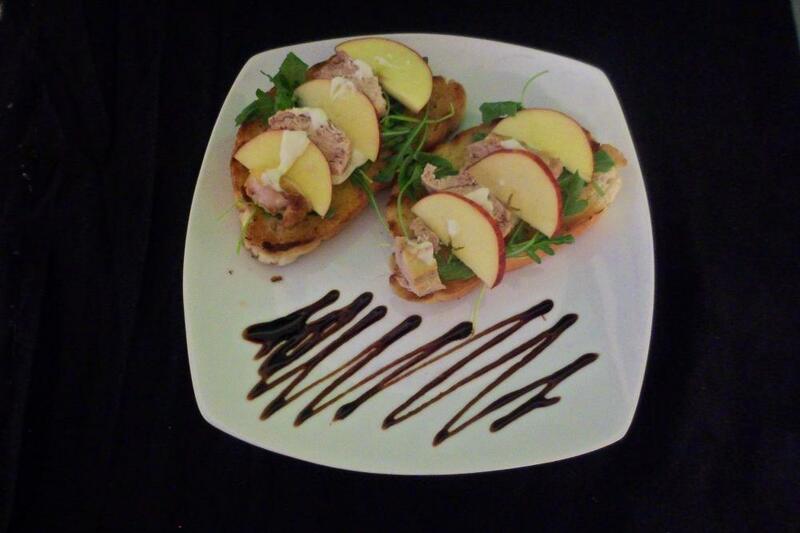 The Pheasant and Horseradish Bruschetta made by the students.